Pack everything your child may need for the week. Camp provides only the food and the fun! Please put your child’s name, in BOLD and CAPITOL letters…on everything! If you have any questions about the “what to bring” list, please let us know. If you do not have a specific item, please call the child life specialist and we will try to find one for your child to use! *For safety reasons, campers are not allowed to wear open-toed shoes which means, no sandals and no flip-flops. **Camp has items that are available if you forgot or do not have them. Send your kid and we’ll take care of the rest! 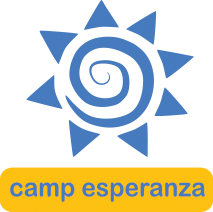 Cell phones/CD/IPODs: In order to encourage interaction with other campers and participation in camp activities, we ask that campers not bring these items to camp. 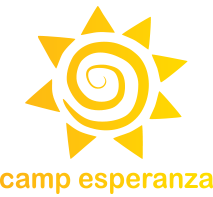 Camp Esperanza will not be held responsible for any lost items. Campers are welcome to bring appropriate music they enjoy that can be played in their cabins on the cabin CD player. Valuables and nice clothes: Camp is full of fun and activities and can be very messy at times. Please do not send your campers with any valuables (Gameboys, jewelry, electronics, etc.) or with clothes that cannot get dirty. It is easy for campers to lose track of their belongings in the midst of fun and excitement. Counselors do their best to send campers home with what they brought to camp. However, it is essential to put your camper’s name on everything. Please understand that occasionally items do get lost. What To Expect at Camp! This year was the best!! Ya’ll always do an awesome job at getting set up! Every year at camp always impacts me because I’m around people who are just like me! Camp was absolutely amazing. I loved it to the fullest! Crazy! Awesome! Super funny! I had the time of my life at the Disco Party! Very cool!